I saw my first primrose yesterday, a sure sign of Spring. I love their delicate yellow flowers far more than the related garden primulas that can be bought. They have a number of medicinal properties that the Celts used them for, including treating arthritis, as a skin toner, as a sedative and for treating bladder infections. The flowers make a lovely herbal tea to drink in the evening. 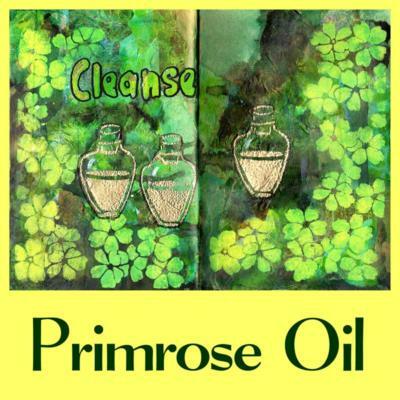 At this time of year primrose oil was made and used as a cleanser by the Celts. There is a really good Instructables here on how to make infused oils. An alternative method is to cook the oil (1 pint/500ml to 750g of fresh flowers), simmering for about an hour with the primrose flowers in it ~ Bartram’s Encyclopedia of Herbal Medicine. 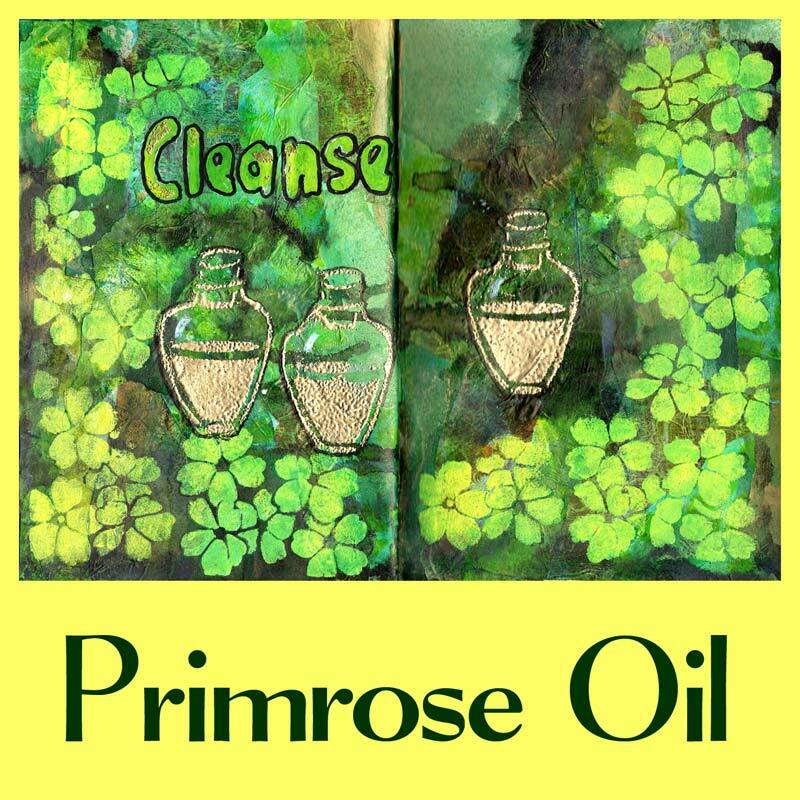 You can view a YouTube video of Primrose Oil here. In this art journal spread I start with collaging yellows and golds. I quite like this collaged background and my idea is for the colours to peek through by using clear embossing powder as a resist. The resist work to an extent but doesn’t give me the clear outlines I wanted when I add ink. So I use my primrose stencil again to add yellow acrylic primroses. There is still a lot of texture and pattern showing through the inked areas, adding interest to the page. I cut a stencil of a vial of oil from watercolour paper and add gold embossing powder through this. I think that 3 different shaped/sized vials would have improved this page but I was running out of time. Enter your details to get your free primrose stencil file download.